Abstract: Sedimentary facies and cycles of the Triassic continental–marine transition of NW Bulgaria are documented in detail from reference sections along the Iskar river gorge between the villages of Tserovo and Opletnya. The depositional environments evolved from anastomosing and meandering river systems in the Petrohan Terrigenous Group to mixed fluvial and tidal settings in the Svidol Formation, and to peritidal and shallow-marine conditions in the Opletnya Member of the Mogila Formation. For the first time, the palynostratigraphic data presented here allow for dating the transitional interval and for the precise identification of a major sequence boundary between the Petrohan Terrigenous Group and the Svidol Formation (Iskar Carbonate Group). This boundary most probably corresponds to the major sequence boundary Ol4 occurring in the upper Olenekian of the Tethyan realm and thus enables interregional correlation. 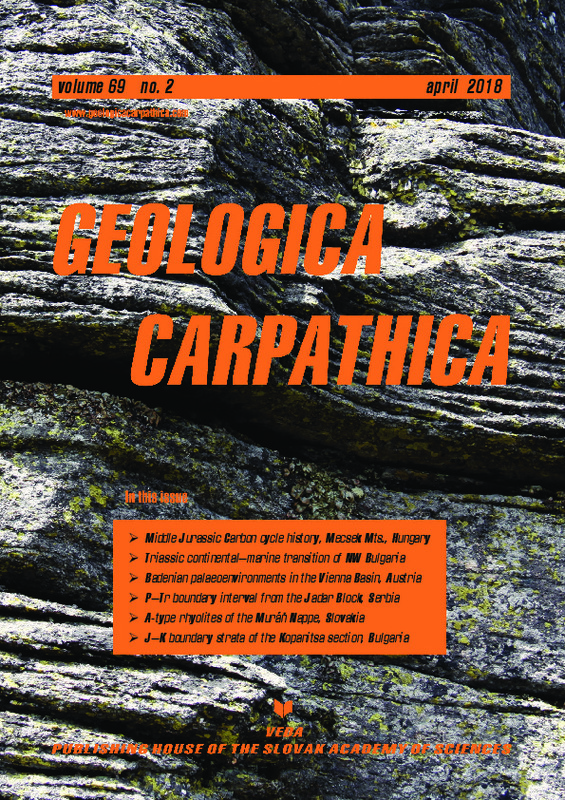 The identification of regionally traceable sequence boundaries based on biostratigraphic age control is a first step towards a more accurate stratigraphic correlation and palaeogeographic interpretation of the Early to early Middle Triassic in NW Bulgaria.